Just unsure how far to go with sound deadening on a clean rebuild. firewall yes + bonnet and inner face of the gearbox cover. any flat space that does not require upholstery or affects visual appearance. 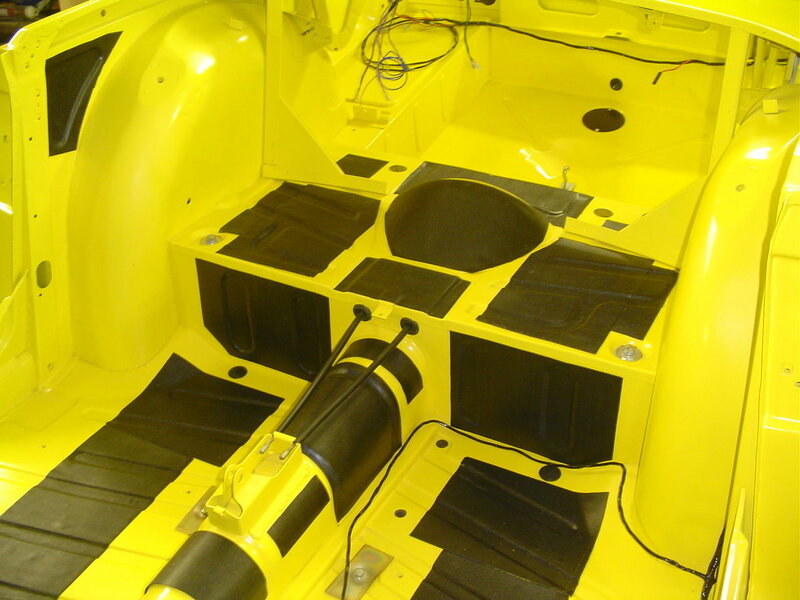 Floors, front bulkhead, door panels. The bonnet would benefit but may look iffy after some use. Also same for boot lid. and which product do people recommend? Only my opinion but although placing sound deadening in specific areas will stop drumming and reduce some external sounds; to have the best overall effect you need to cover a complete area, ie the whole of the floor, no gaps. 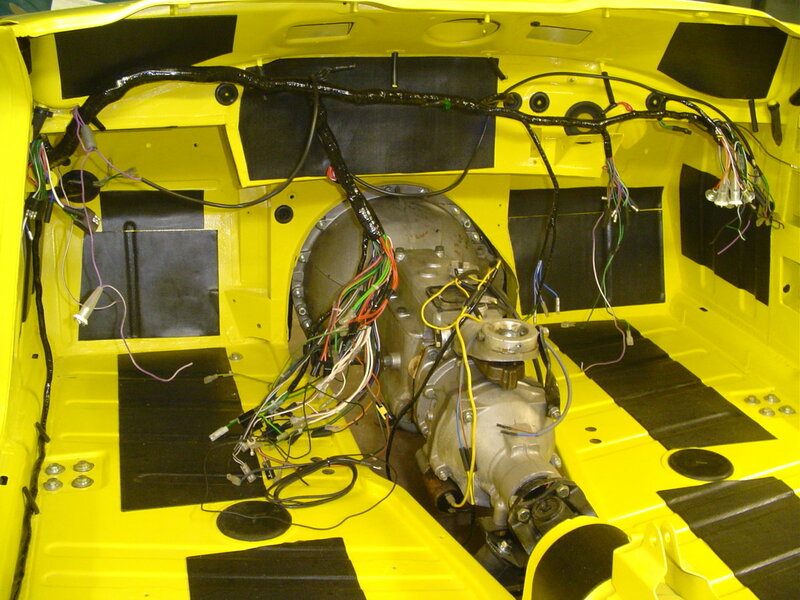 I used the same material as many of the custom car fraternity and high end restorers, Aston’s et al which Dynamat. Easy to cut and fit and waterproof as well. Cuts out a lot of road/tyre noise even with hood down. There are similar materials available which work nearly as well but Dynamat always comes out top in tests and often comes up on Amazon and eBay at a reasonable price. Sorry to resurrect this thread but Iain reminded me of it. Stuart would your product be suitable for a TR3a hardtop as it needs to stick and cope with a wide temp variation. My own eBay searching came up with this stuff as they rave about the glue. 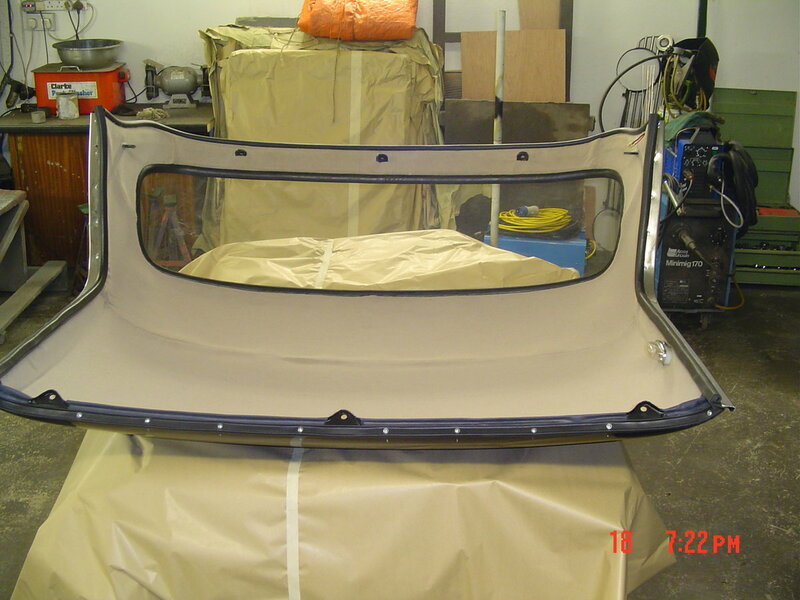 Also would the whole inside surface of the hardtop need treating or just the large centre panel area ? TBH I would use this stuff (stuck on using the glue listed below it) https://www.woolies-trim.co.uk/product/1384/sound-deadening-feltand then a head lining like the one illustrated in the picture.